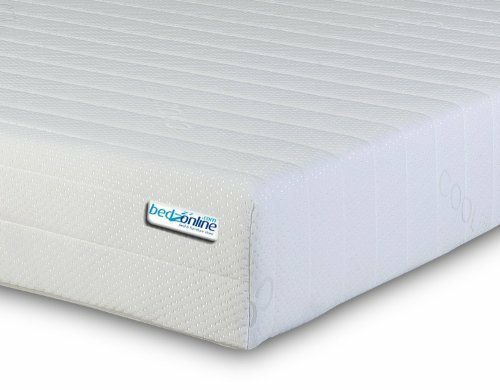 This is our review of the BEDZONLINE 4FT6 Double Memory Foam and Reflex Mattress. 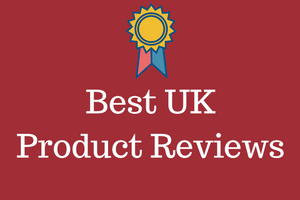 With over 2,500 buyer reviews, at Amazon UK alone, it is easy to see, that this is currently the best selling mattress in the UK market. ​People generally agree that buying a mattress online is not the simplest thing to do. You can't get to sit on it or lie on it, and all you really have to go on, is what other buyers have to say. We have read and then summarised those reviews, to make that a great deal easier to see, read and understand. There are buyers who have bought the mattress, used it, and then taken the time to leave a review. They scored them on a star system, with 5 stars being high, and 1 star being low. Overall this is how the scores turned out. As of the time of writing this, there were over 2,500 buyer reviews, so lots of information to go on. From this you can safely deduce that 2 out of 3 people gave this the full 5 star treatment. 82% rated it 4 stars or higher. There were 7% who gave this mattress a poor rating. That should I believe give you some assurance, that should you decide to buy this particular mattress, then you own something that the majority of buyers like. We will however also be having a closer look at what the 7% of poor ratings had to say and why. The overall average star rating is 4.3 out of 5 stars. Is this the right mattress choice for you, is I believe the most important question. Let's have a look at the key features that the buyers actually mentioned. ​Many buyers commented on the fact that this mattress was extremely comfortable. Even buyers who openly admitted they were on the large side, said this mattress offered great comfort and support, without any of the drama. The general observation was soft yet firm. Almost all the buyers said that this mattress really helped give them a good night's sleep. The mattress is designed to allow air to easily flow through it. This is known in the bed industry as breathability. ​The main purpose of this is simply about stopping the body from over heating in the summer, and also keeping the body warm in the winter. ​The double memory foam seems to work well for most of the buyers. This mattress has a 15 cm thick orthopaedic mattress reflex foam. When memory foam first arrived to the UK market, people when crazy for it. That is because it offered comfort, and took the shape of the body. It would then return to normal afterwards. One of the drawbacks was that it could get too hot in bed. This one has a reflex foam and that actually creates the opposite characteristics of memory foam. What I mean by that is that it helps keep this mattress firm. 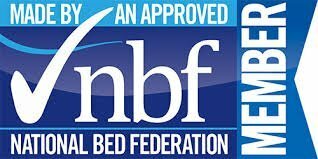 It measures ​140 x 190 x 15 cm (55.1 x 74.8 x 5.9") so the thickness is a tad under 6"
The base of this mattress uses a layer of reflex foam - this type of memory foam does not mould to your body and bounces back very quickly. it is designed to distribute your weight. This mattress has been hypoallergenic treated to provide hypoallergenic and anti-dust mite properties - so ideal for allergy and asthma suffers. Polyester wadding added to the cover to create a luxury feel. This is a huge best seller online, and the majority of buyers like their purchase. I am sure you will agree that buying any mattress online is a bit of a risk. After all you don't get to check it before you buy it.